If you’re new to exercise, you might be reluctant to join a fitness center or exercise program at your local senior center. You may have not-so-fond memories of high school gym class. Or you may think that the fast pace and large numbers of people might be too much. Here are a few tips to help you feel more comfortable. Ask for a tour of the center and the exercise equipment. Talk with other members your age about their experience and how comfortable they feel at the center. Talk with the staff about their experience working with older adults. Ask if they offer special help for new exercisers or people who’ve never exercised in a fitness center before. Does the center offer classes for seniors or classes just for women or just for men? Does the center offer classes in the middle of the day, when things will be less crowded and busy? Are there half-hour as well as hour-long classes or programs? Does the center offer a variety of classes so that you can try out new exercises? Go to the center with a friend. Don’t pay attention to what others are doing. Focus on your own workout and have fun. Don’t worry about wearing the latest fitness fashion. Wear comfortable clothes that allow you to move. Ask if it’s possible to have one or two trial sessions to see if a fitness center or exercise program is right for you. 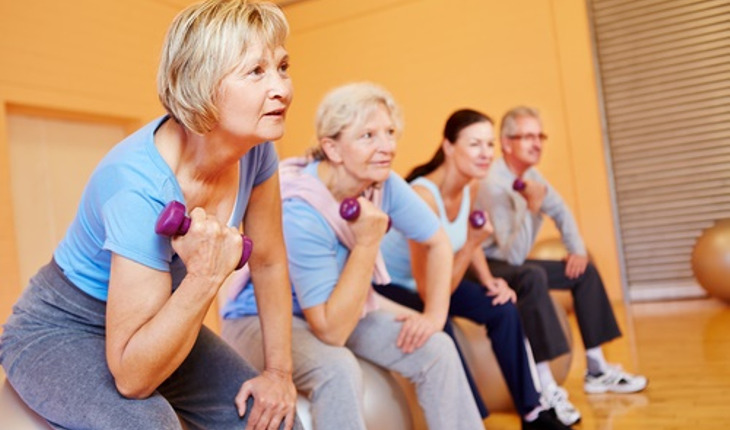 For more on senior-related health and fitness, click here to visit the Go4Life website.